Are you interested in an area that has been extensively explored and for which guide books or route descriptions are available? Would you prefer exploratory mountaineering; perhaps with the option of climbing a new peak? Do you specifically want to climb one or more virgin peaks? Is your interest a new route of moderate grade on a previously climbed mountain? Are you keen to do one or more hard new routes in either a frequently visited area or one that received few visitors? Would you prefer a lightweight expedition having minimal local support or one with significant infrastructure; possibly involving high altitude porters? In other words, how much are you prepared to carry yourself and over what distance, and what degree of ‘luxury’ would you prefer? Are you happy to have a multi-day trek to and from base camp or would you prefer your objective(s) to be close to mechanised access? What altitudes are you aiming for? Remember that higher mountains often involve higher peak fees. Are you interested in ski-touring opportunities or expeditions in which travel is largely on foot? Once you have decided what type of expedition you prefer you must ensure that all members of the team have the necessary technical expertise, or at the very least that there are alternative opportunities for them within their skills range. For example, there is no point in going to an area that requires extensive ski travel if one or more participants cannot ski, or to an area that clearly requires high rock climbing ability when one or more participants can only climb to V Diff. Not only will they not enjoy the experience, but they are likely to become a liability. Some 70% of the Earth’s surface is mountainous so there is plenty of choice about where to go – every continent has something to offer, and opportunities for exploration, first ascents and new routing exist in many countries. 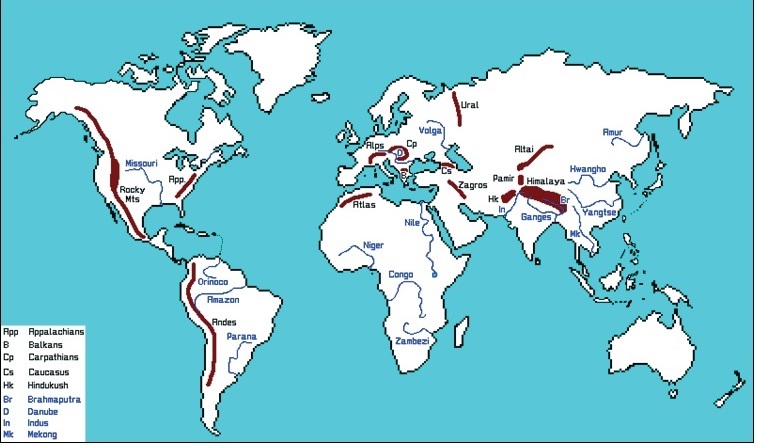 In addition to the major ranges, which include the highest regions on Earth (the Himalaya, Karakoram, Tien Shan, Pamirs and Andes; see map), there are also serious challenges to be found in the mountains of Greenland, Antarctica, arctic North America and New Zealand, to name but a few. Every venue has its own local culture, history, flora and fauna and traditions. These can add considerably to the enjoyment of an expedition. It is impossible to detail the opportunities that exist in each mountain range, but some generalisation is possible. For example, with the exception of Greenland, Antarctica and arctic North America, ski-touring opportunities are most likely to be restricted to the winter and spring seasons. At this time many areas have substantial snow cover and the choice is enormous. It is probably best to select regions of moderate height (3,000- 5,000m), rather than the high mountains, but for the more experienced mountaineer even 8,000m peaks such as Cho Oyu and Shisha Pangma are possible. More rounded peaks and those with moderate gradients offer the chance for complete ski ascents, but ski access to climb to the summits on foot is probably more common. Outside of the polar regions, rock climbing objectives occur almost everywhere, from the Himalaya to the Andes, from the Caucasus to Africa and from the Altai to North America. With the likely exception of Africa, snow, ice and mixed mountaineering routes can be found on every continent. If you intend to go to one of the world’s more troubled locations you are advised to check the current situation with the Foreign Office (www.gov.uk/fco) before your planning becomes too advanced. remember that many insurance policies are invalidated if the Foreign Office advises against travel to the country that you will be in. (2) For additional members upto seven,US$ 100 each (i.e. total for 7 members US$ 750). (1) US$ 100 for party of two members. No change for Liaison Officer (LO) Equipment Hire charges.